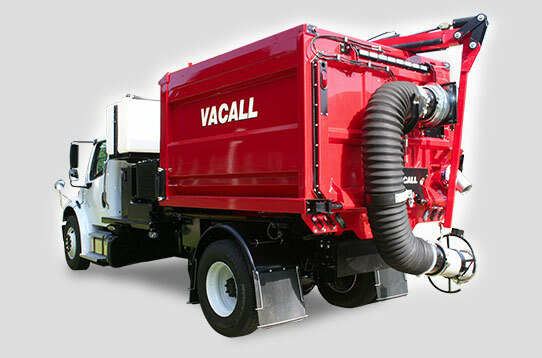 Vacuum cleaning catch basins, storm sewers, lift stations and culverts is important to help prevent storm sewer blockages and minimize pollutants that enter storm sewers and can end up in local streams and other bodies of water. Water ponding on streets and in parking lots can also occur as a result of clogged catch basins. 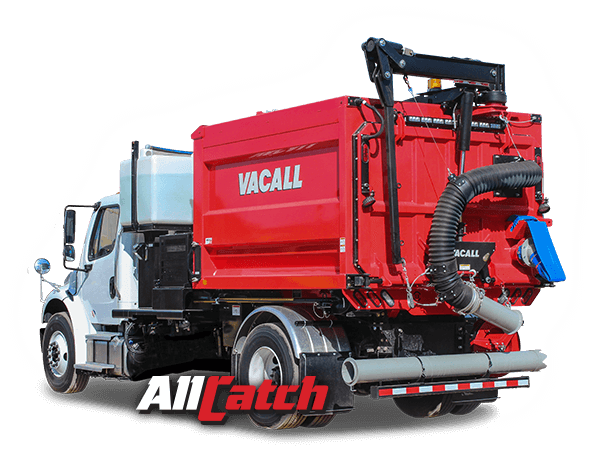 Vacall’s AllCatch catch basin cleaners use the industry’s greatest vacuum forces to pick up debris, rocks, stones, pieces of asphalt and both wet and dry leaves, helping to prevent interruption of storm water flow and backups. 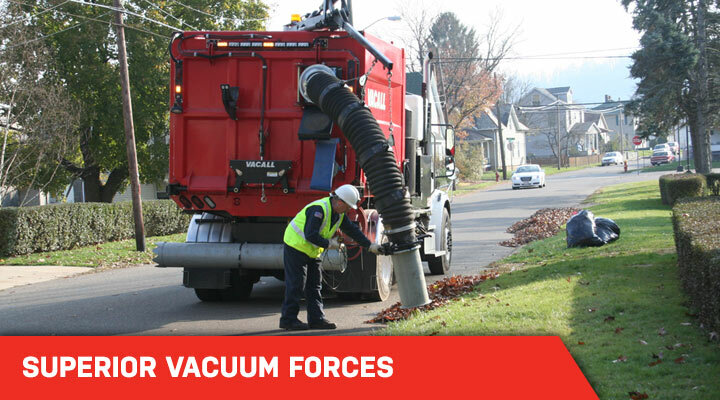 The industry’s greatest vacuum forces handle demanding catch basin cleanout work, as well as preventive debris clearing from culverts, ditches and street curbs before it reaches the catch basin. 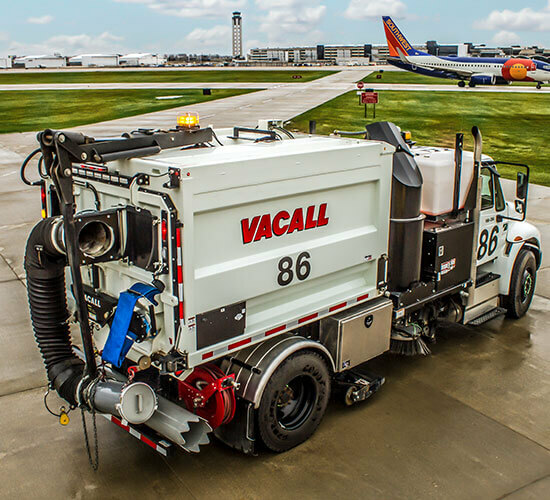 Power for the chassis as well as vacuuming is provided by a single engine, resulting in less downtime for routine service on a second engine, reduced fuel consumption, and makes Vacall catch basin cleaners a friend to the environment. The most versatile, powerful catch basin cleaner on the market. 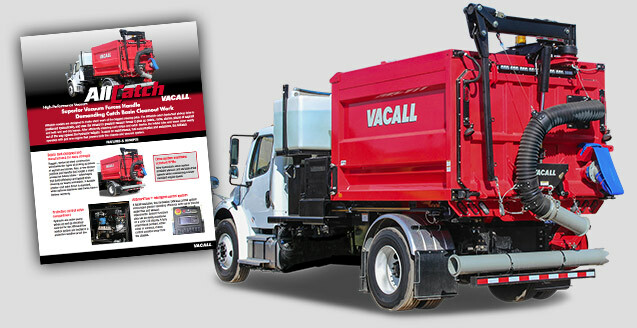 The Vacall "Green That Works" collection of standard and optional advantages can help you save money, increase operating efficiency and protect the environment. 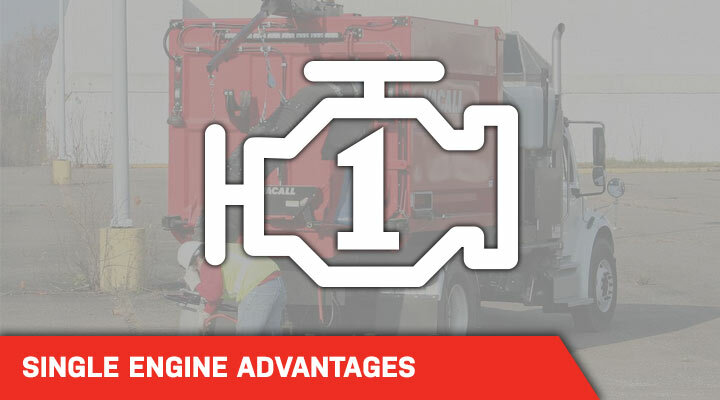 All while continuing to deliver industry-leading vacuum and jetting forces.